ISLAMABAD: A proposed plan of the Ministry of Capital Administration and Development Division (CADD) to bring the Basic Health Units (BHU) and the Rural Health Centres (RHC) of the federal capital under the umbrella of the ministry hits a snag due to a failure to pursue the case effectively, Pakistan Today has learnt. In October 2017, the idea was floated to bring the BHUs and RHCs in the metropolitan under the CADD Ministry so as to bring some improvement in the health sector to mitigate the sufferings of the patients who are passing through great ordeal due to the abysmal state of the health. In this regard, State Minister for CADD Dr Tariq Fazal Chaudhry held meeting with Interior Minister Ahsan Iqbal, but nothing could be done afterward. It is pertinent to mention here that the CADD Ministry is looking after the main hospitals in the city including the Pakistan Institute of Medical Sciences (PIMS) and the Polyclinic, while the Health Department of the Deputy Commissioner’s Office is responsible for maintaining health in the rural areas of the Islamabad Capital Territory (ICT). The first level health services are being delivered through three RHCs and 14 BHUs, since they all lack the basic facilities to cater to the rising needs; resultantly PIMS and Polyclinic are burdened with huge influx of patients. Though the government made some efforts to revive the health sector during the last four and half-year, the decision to bring the BHUs and RHCs under the CADD was highly appreciated. The ministry had a team of experts to run the affairs effectively. Sources privy to the development told Pakistan Today that though it was good proposal and lot of health-related issues could be resolved if it was implemented. However, they said that it was still at the proposal stage and could not move forward, as the CADD has not pushed the case effectively and not made consistent efforts, which is usually required when a subject is to be transferred from one ministry to another. They said that though both the ministers during their meeting showed readiness to integrate the highly dis-integrated health system under one ministry to upgrade the health sector, but as usual due to the CADD Ministry, the plan mere reduced to proposal and no headway has been made in this regard. A senior official on condition of anonymity said that it was culture in the country that no one give the possession with ease so it was not that easy to convince the Ministry of Interior to hand over the BHUs and RHCs to the CADD. He said that it was very good proposal and could have brought about revolutionary changes in the health sector had the idea been materialised. 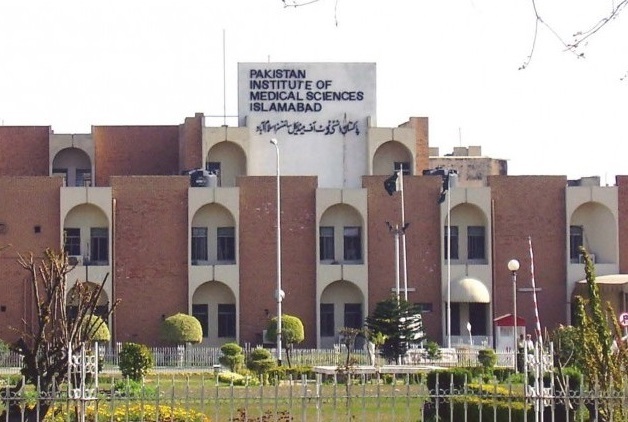 It is pertinent to mention here that the CADD, in the past, had offered services of its medical postgraduates (PG) placed at PIMS and Polyclinic to RHCs and BHUs to address the health issues. The absence of the basic health facilities not only puts mounting pressure on capital’s two state-run hospitals but also endangers the lives of people who need urgent medical care in their respective BHUs and RHCs. Various stakeholders in the health sector had been called to the former prime minister back in 2016 during which he expressed his disenchantment over the state of the health facilities and services provided in Islamabad. Therefore, the prime minister constituted a committee with then special assistant Khawaja Zahiruddin Ahmed as its coordinator. The committee was tasked to chalk out a plan to ascertain how the segmented health system could be brought under one umbrella. Under the integration plan, it was proposed that the periphery centres, BHUs and RHCs would be upgraded, besides developing a proper referral system, which would eventually ease the unnecessary load to the main hospitals. Under the plan, it was proposed that a community-based service would be initiated in which the community representatives, for instance, the union councilors and other district elected representatives would be involved in the monitoring system. However, all these plan just reduced to the file works due to the problems surrounding the government. 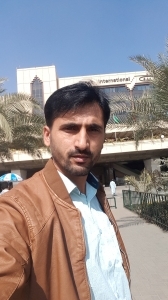 “I am not in Islamabad, so contact Alamgir Khan, JS who is the spokesperson. He will be able to get the information and respond,” CADD Secretary Azhar Chaudhry replied when contacted. However, Joint Secretary Alamgir sought a day time to get the detail from the officials concerned. But the next day when approached he instead of giving reply just sent text that please contact Joint Secretary for Health Gulzar Shah as his meeting may last little longer. “May kindly visit me on Wednesday at office at 12pm,” Gulzar Shah said in his text reply.